Adidas, Reebok’s parent company, will put the nearly 60-acre Canton campus on the market once Reebok leaves. 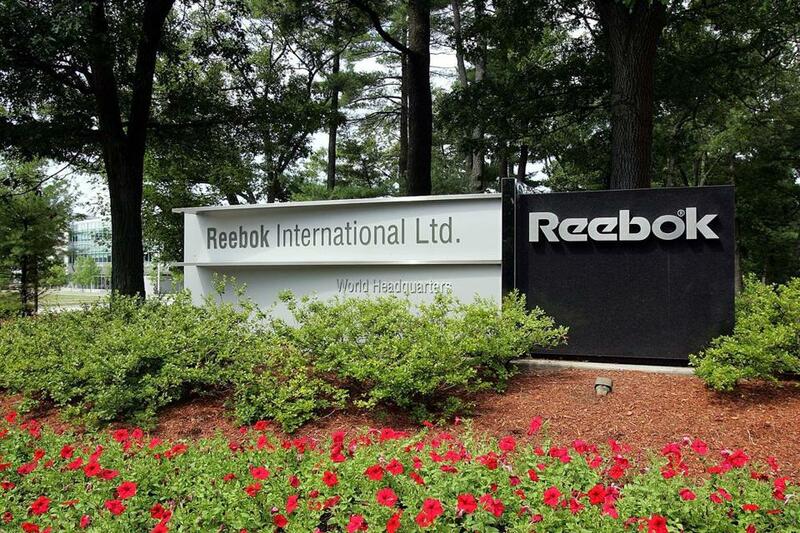 Another high-profile company is moving to Boston: Reebok, the athletic shoe and apparel company, plans to shift nearly 700 employees from Canton to a new headquarters in the city. The move would be one of Boston’s biggest corporate relocations in years. But it’s not going to come without some pain: About 300 people who work in corporate positions for German parent company Adidas AG in Canton will either lose their jobs or be asked to move out of state. New Adidas CEO Kasper Rorsted said the move is part of an effort to restructure the Reebok brand, making it clear that he is disappointed with the pace of sales at the company. “We’re not going to have eternal patience for seeing results,” Rorsted said on a conference call with investors and analysts on Thursday, when asked about the turnaround of Reebok, which has weighed on Adidas during the decade since it was acquired. Rorsted said the restructuring in Canton will also lead to numerous Reebok store closings and will involve the net loss of about 150 positions. The cost of implementing the changes will total about 30 million euros, or about $33 million. Reebok president Matt O’Toole said in an interview with the Globe on Wednesday that the company is still reviewing a few sites in Boston, all in existing buildings and accessible to southern suburbs and mass transit. He declined to name the locations under consideration. A decision will be made by the end of the year, he said, and the move should be done by the end of September 2017. O’Toole cited two reasons for the move. Adidas wants to “clarify the roles” of its offices in the United States. And Reebok wants to be in a vibrant urban area where millennials are eager to work and live. The average age of Reebok employees in Canton is under 30, and many live in Boston already, he said. He’s not alone. Converse, owned by Nike Inc., relocated last year from North Andover to a site near the TD Garden, complete with a prominent sign visible from Interstate 93. New Balance recently opened a new headquarters alongside the Massachusetts Turnpike in Brighton. Reebok employees were told about the move in a meeting at the headquarters Wednesday. O’Toole said the local workers in Adidas corporate functions, such as information technology and finance, will learn over the next few days whether they’ll be offered jobs elsewhere. Most of them will be offered jobs at Adidas’s North American headquarters in Portland, Ore., he said, although it’s unclear how many will make the move. Another group is about to leave the campus: Adidas sold the Rockport shoe business to New Balance and investment firm Berkshire Partners last year, and nearly 140 people who work for Rockport will relocate to West Newton next month. Adidas will put the nearly 60-acre Canton campus on the market once Reebok leaves. The company first moved there in 2000 from Stoughton into what was then a new complex. (Adidas acquired Reebok in 2006.) Adidas now occupies 350,000 square feet across four buildings; Reebok is looking for about 200,000 square feet in Boston. Reebok wants to offer many of the Canton campus amenities in the new location: fitness facilities including a CrossFit gym; day care; an office cafeteria. Reebok’s 400-meter track, though, won’t be replicated, O’Toole said. Officials in City Hall learned about Reebok’s decision earlier this week. Reebok will be the latest in a long line of companies that have moved into Boston recently, following the likes of General Electric, software supplier Autodesk, and design firm Continuum. O’Toole said he first met Walsh at a Reebok-sponsored event in a Boston public school in the spring. John Barros, the city’s economic development chief, said the company hasn’t yet discussed the possibility of a property tax break, but city officials haven’t ruled one out. Walsh’s aides pointed to the new economic development department that the mayor created after taking office in 2014 as one major reason the city has successfully attracted big employers. City officials said the beefed-up agency has enabled them to be more aggressive and methodical with recruiting. The 45-person agency includes a number of functions that were previously in other departments. “We’ve had conversations with executives [about] everything from where their children might want to go to school to where they might want to live,” Barros said. For Reebok, moving into Boston isn’t just about chasing millennial workers. It’s also about getting closer to millennial consumers, O’Toole said, to better understand their interests and buying habits. John Boyd, a relocation consultant based in Princeton, N.J., said apparel and sneaker companies like Reebok crave downtown locations because they can help build a brand’s credibility and reputation with millennial shoppers — sometimes through signage, events, and commercials, for example. “They find creative ways to use that as part of the overall branding strategy,” Boyd said. Material from Bloomberg News was used in this report.